One of our most fun necklace knives yet! 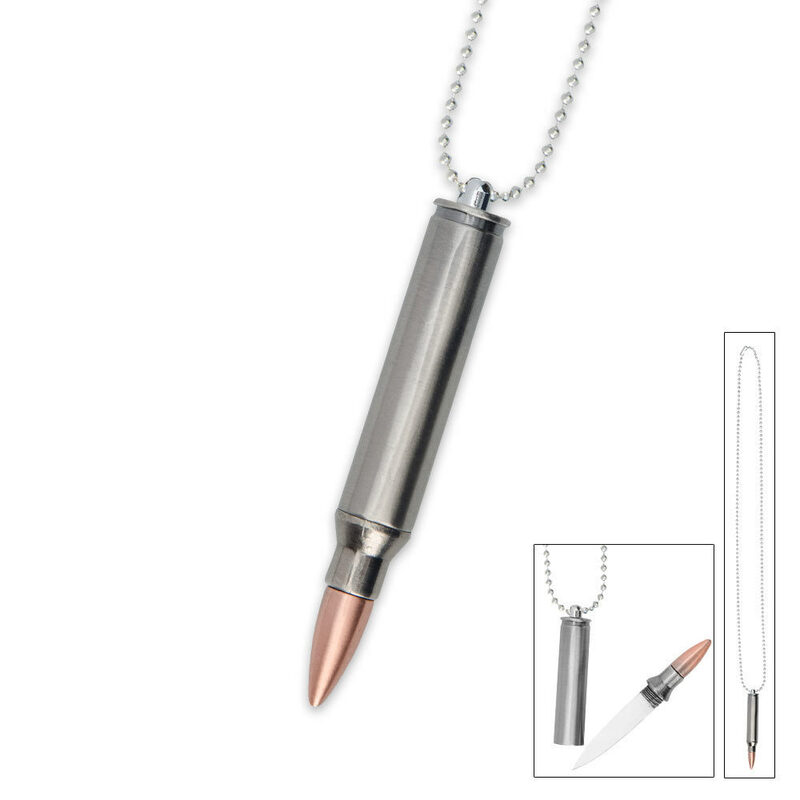 The realistic bullet pendant unscrews and opens to reveal a hidden knife blade. All metal construction. Includes necklace chain. 1 3/4 in. knife blade, 3 1/2 in. overall bullet pendant (closed). Got it a day early! Heavier and bigger then I Thought from the picture. No edge on the blade but a really good tip. Could be sharpened. With a pitched style grip it is very comfortable. And awesome little neck knife. Goo a wear it all the time!